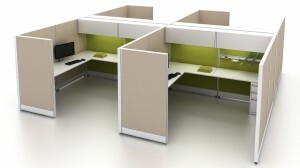 Panel systems or office cubicles are not a new concept. 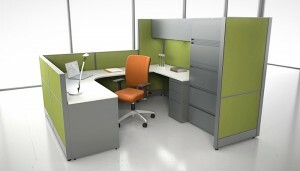 Originally designed to give privacy, and to quickly and affordable bring power and voice/data to the center of a room. Panel systems come in all sorts of shapes and sizes. 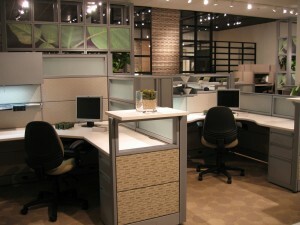 Cubicles continue to be utilized by everyone from a management team, to a sales floor, and even accounting departments. We have furnished them all, and can call on our wealth of industry experience to design the right system for the right department. 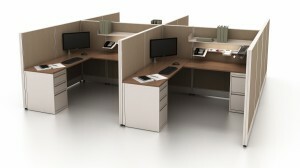 While we have seen offices continue to move to shorter walls, or open plan spaces, the cubicle is still a necessity in offices all over the globe. 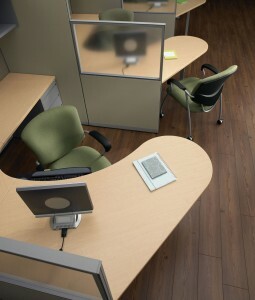 We offer solutions from a variety of different vendors. 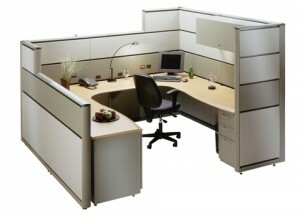 We have stocked panel systems, used cubicles, and re-manufactured cubicles as well. 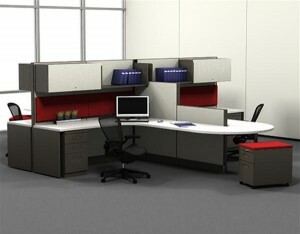 But we really love when we could offer a design utilizing our cutting edge, market leading brand Evolve. As an Evolve dealership, we are able to offer solutions few others can, at prices that help keep more money in your pocket. Call us to schedule an appoint with one of our team to guide you through all of your options, to get your team working efficiently! 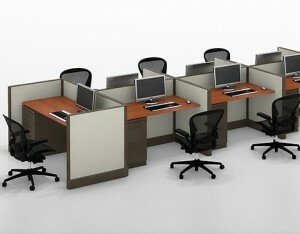 Panel Systems	Overall rating:	5	out of 5 based on 1	reviews.